Dax is a wormlike being who is joined body and soul to a succession of humanoid hosts. Each life is different, each body is different, each personality is different, but all of them are Dax. At one time or another Dax has been male, female, a Starfleet officer, a statesman, a scientist, and ambassador, even a serial killer. The symbiont's humanoid hosts have included Curzon, friend of Klingons, and Jadzia, science officer on Deep Space Nine and latterly wife of Worf. 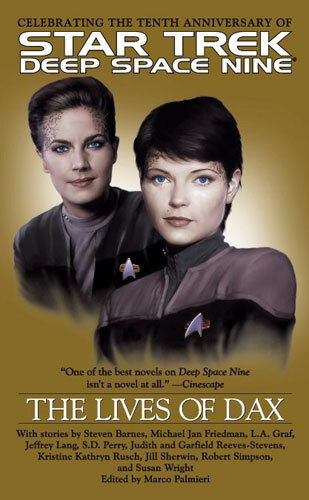 The most recent incarnation is Ezri Dax, station counsellor on Deep Space Nine.